Jo joined the PPL team back in June 2013 and is enjoying the diversity of her new role as a Business Recruitment Consultant. Born and bred in Ashburton, Jo has spent the last 13 years in sales/advertising roles and gets immense satisfaction from building sound relationships with clients, fulfilling their professional requirements and providing a high quality service. Jo’s area of expertise at PPL is filling Temporary and Permanent placements in the industrial and commercial areas and making a positive, life-changing difference to the lives of our candidates and clients. In her spare time she likes to walk her dog, get out mountain biking and spend time with family and friends. With over 20 years in sales, management and administration, Donna has the resilience and expertise to embrace change and overcome challenges that cross her path, turning them into successful outcomes for her Clients. Donna is finding it most rewarding in her new career to work with people from all walks of life, to help them achieve success in finding their dream job. Having been raised on a farm under the beautiful foot hills of Mid Canterbury she has a natural passion for our local community, industry, and people. In her spare time Donna enjoys spending time with her family and friends and recently returned to her childhood passion of riding horses. Gaye has been a professional part of the rural sector most of her working life and her heart is firmly in the country. With her exceptional customer service and sales background, it was a natural progression to join Personnel Placements as an Ag Recruitment Consultant to expand her knowledge and propel her career forward. Gaye has been an asset to the role, recruiting for our Temporary, Permanent and Seasonal Harvest divisions, tapping into her rural knowledge and considerable experience in Dairy, Sheep, Beef and Arable farming. Gaye thrives on a challenge, enjoys utilising her organisational skills to meet and exceed the demands of our Client’s, whether it is a Permanent Placement or Seasonal Harvest sourcing, she enjoys the satisfaction of placing the right candidates for the right jobs. Being born and bred in Ashburton makes her loyal to her roots and in her spare time Gaye enjoys the outdoors, riding her horse “Dan” and doing as many things equine as possible which is her passion. Nicky has been with Personnel Placements since 2008, and is responsible for payroll and general office administration. Having had 20 years’ experience in office roles, she is knowledgeable across the board and is always available to help with any payroll-related queries that you may have. 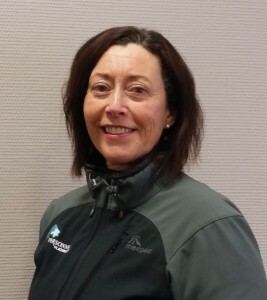 Nicky was brought up on a farm just out of Ashburton, and now lives on a lifestyle block in the area; which means she is very familiar with the Ashburton District, and the associated agricultural industry. Jo joined our team in September of 2015 after relocating to Timaru from Auckland with her family and her husband David who is a 6th generation proud South Cantabrian and very happy to be back home! Jo has extensive recruitment experience at Executive Level, including overseas management search as well as offering general HR services to clients along with Sales and Leadership training. Jo has a strong business background having held GM and operational management positions during 25 plus years in business. She is adept at taking an holistic view of an organisation, and being able to put the right people with appropriate skills within a unique culture well suited to them – everyone wins! Working with both global and boutique organisations, Jo knows all too well how the wrong people in any organisation can make life incredibly miserable for both the employer and employee. Her passion is to continue to assist businesses to build healthy workplace dynamics, behaviours resulting in effective teams which of course lead directly to your bottom line profit! More than anything, it’s about being your business partner and trusted advisor whether its recruiting for you outright, or perhaps assisting your HR department when they are busy. Katrina joined the Personnel Placements team in January 2018 as a Commercial Recruitment Consultant. Katrina’s previous leadership experience coupled with her natural and warm manner was quickly recognised by PPL, resulting in a promotion to 2IC, supporting the Branch Manager. Katrina has spent the last 14 years working in Telecommunications, primarily in Sales Management positions, 12 years with Farmside and 2 years with Spark, the knowledge gained in these roles over her career have provided her solid platform of transferable skills to bring to PPL. Katrina is thriving in the change in career and is enjoying utilising her strong communication and relationship building skills in all aspects of the recruitment industry, to assist clients and candidates to achieve their individual goals. Born and bred in Timaru, in her spare time Katrina keeps herself busy looking after her 2 young boys and when time permits she enjoys spending time outdoors mountain biking, jet skiing and walking. Justine joined PPL as our Industrial Recruitment Consultant and specialises in Industry related roles, both Temporary and Permanent. With over 21 years’ experience in insurance and other customer focused industries, Justine brings many diverse and transferable skills to our company, including Hiring, training, development and coaching of staff. This combined with her commitment to be an integral part of any business’s success means that Justine is enjoying being involved with assisting the growth of local business and their staffing requirements. This ensures Job Seekers and Clients alike are provided with a superior mutually beneficial service. Before being welcomed to Personnel Placements as a permanent internal team member, Justine had been an outstanding temp for us for twelve months prior and we knew that we had to have her! You can be sure when dealing with Justine she has a honest 360 degree view of how our company works and how our offering can benefit your business. Justine is a South Canterbury girl who was brought up in Geraldine, leaving the area to follow a career path in the insurance industry in both Auckland and Christchurch. After spending 25 years in Senior positions, the pull of home and being closer to family meant a move back, and purchasing a property to put down roots again. Justine is enjoying her lifestyle change and the challenge of a new career in recruitment.